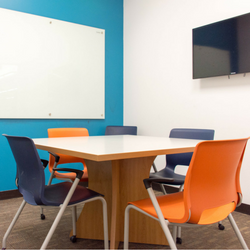 Looking for a space to host a meeting? 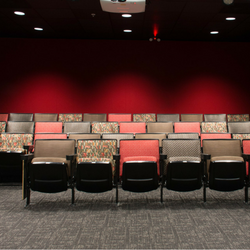 Our libraries offer meeting rooms equipped with projection screens that can seat up to 178 people. Need a place for a study group? 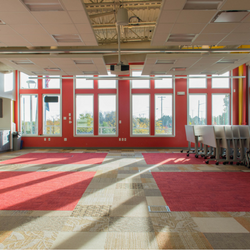 Many of our libraries offer study rooms for individuals or groups up to 6 people. 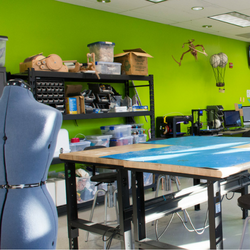 The Makerspace has all the tools you need to craft or create anything you can imagine. Located inside Castlewood Library. 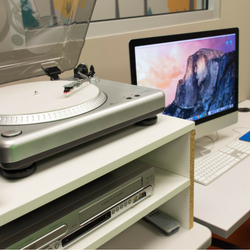 Located in Smoky Hill and Southglenn libraries, Digitization Stations have the tools you need to make digital versions of your favorite records, photos, tapes and more. 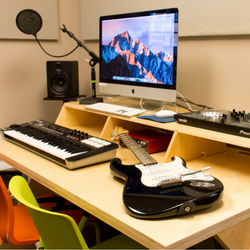 Smoky Hill and Southglenn and Sheridan libraries offer studios equipped with everything you need to record audio or video from the green screen to software. The Forum Theater at Koelbel Library offers the community a performance space equipped with a stage, podium, spotlights, microphones, curtain and more. 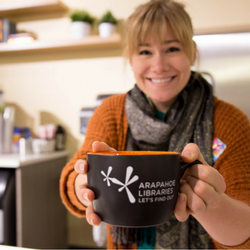 Baristas make hot and cold drinks in the café at Smoky Hill or Koelbel Library, plus grab-n-go sandwiches and salads are available. 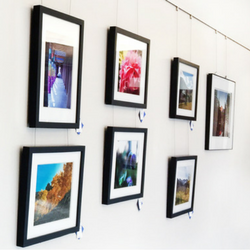 Arapahoe Libraries hosts monthly art exhibits to introduce the community to new art forms and creative ideas while providing exhibition opportunities to local artists. Family Place Libraries create a library environment welcoming and appropriate for children beginning at birth. They connect parents with the resources, programs and services offered at the library. 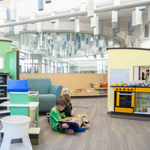 Family Place Libraries are located at Koelbel, Smoky Hill and Sheridan libraries. Learn more about Family Place Libraries.